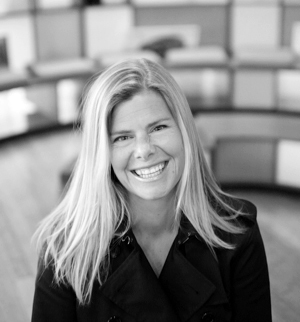 After spending 20 yrs at Chiat\Day, what prompted the move to Saatchi & Saatchi? It was really tough to leave. Every time I was itching to move, another great project came along, tempting me to stay. I also had a huge family there, both clients and co-workers, who loved and supported me over the years. It was a tough decision, but it was time to grow and Saatchi & Saatchi was the perfect chance to build something new. What unique lessons have you taken from your time at each agency? Chiat, and particularly Lee Clow, taught me how to tell a story. I learned how to build brands from the very best, and earned my stripes during some really competitive years at the agency. We had some big clients, and my bosses believed in me and gave me a lot of face time with them. It forced me to hone my skills quickly and understand the business. At that level, all anyone wants are solutions and no one has time for a petulant art director who’s only motivation is to work with Spike Jonze*. I learned from a few assholes too. There were some pretty big personalities back then, and you had to figure out how to navigate through them and get your work sold. Those were the best lessons. I’d like to think that I’m the one dolling out the lessons at Saatchi & Saatchi, but the truth is, I’ve never learned more. I’m surrounded by really smart, talented people who are always ready to share and solve things. I learned early on that no one person or leader can have a handle on it all, so it’s critical to get everyone together, often, and hash stuff out. A couple of good collaborations can unleash a radical idea, or be the safety net for someone in trouble. Describe the experience of working on Apple’s famous “Think different” campaign. Clow and Jobs were a beautiful, complicated team. Two geniuses totally obsessed with resurrecting Apple. “Think different” was their cause and their vision; some of us were just lucky to be there. Showing work to them was a pretty painful experience, but if you made something they liked, you really achieved something. Jobs had a reputation for being brutally honest and even cruel, but he did take the time to celebrate us and the campaign. I was way too young and naive to understand how special that whole time really was. Which commercials did you love as a kid? Philanthropy, innovation, and education have always been my favorite subjects. I lived in front of the TV as a kid. All I wanted to do was make commercial art, and I couldn’t wait to be done with school and get on with it. If I had had a GoPro or an iPhone back then, I’m sure I would have dropped out and been a film maker. Describe the creative culture of the Saatchi & Saatchi LA office, how do you motivate and inspire the team? Working on a brand like Toyota is pretty inspiring. They’re an ambitious partner and they challenge us to raise the bar everyday. After The Endeavour Tow, there was a feeling that if we could dream it, we could achieve it. It’s my job to create and stoke those opportunities, and keep the dream alive. The teams know that I’ll do everything in my power to help them make the best work of their careers. I encourage them to work smart and get out of the office. Work-life balance sort of died when the iPhone happened, but at the same time there’s never been a better time to work, play, and care for your people, simultaneously. Creative types need that mix, otherwise the well dries up and we make a lot of derivative crap. Tell us about some of the most significant campaigns from your highly accomplished portfolio of work. Think different: I played a small part, but the experience was the foundation for everything I’ve done since then. The Pedigree Adoption Foundation: We had amazing clients at MARS. They believed that their brand could stand for something greater than the products they produced. We didn’t create a faux, philanthropic attempt at change, we challenged everything they stood for and raised millions of dollars for shelters in the process. I’m still incredibly proud of that work, and our impact on the dog adoption community around the world. The Apple/Nissan Leaf iAd: Jobs wanted us to create a new, brand-building environment on the iPhone platform, in the process we also launched a new chapter in automotive history, the electric car. 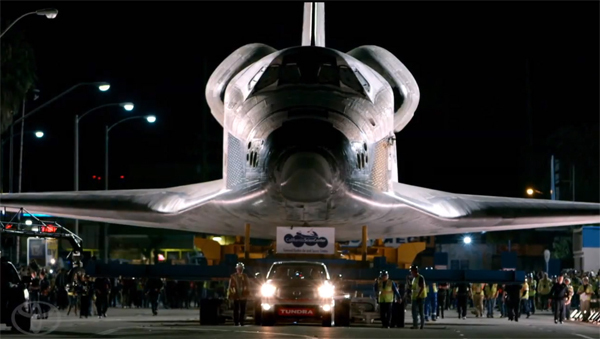 The Toyota Tundra Endeavour Tow: Our clients at Toyota were willing to dream big and push us harder than we’d ever been pushed before. It was also a personal lesson; when a team has a killer idea, just say yes. 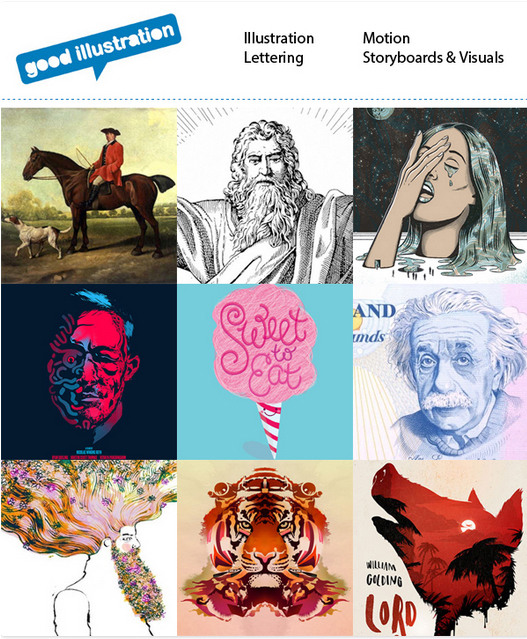 Which recent campaign best exemplifies your approach to creativity? I’d say the ‘Let’s Go Places’ brand project. Campaigns come and go, and tag lines are usually throwaway ad conventions, but when you choose to live up to the intent of the words, it can be your North Star. The Toyota Endeavour project embodies everything the line and the brand stand for: a beyond capable product, an adventure, an historic achievement, educational content to share, a philanthropic contribution dedicated to technology and science. That all-encompassing, multidimensional commitment to a brand is where the magic happens. Now we just have to continue to live up to it. And there’s this year’s Super Bowl work. There’s nothing better than Terry Crews and The Muppets and the song is sort of my personal anthem. A kid was singing it in the store the other day. I live for that stuff. How can more women succeed in advertising, what are some of the key ‘must haves’? My message to the ladies: Mentors are far and few between so emulate women and men you respect. Read and write a lot, become an anthropologist of life and culture. Be able to understand and articulate multiple points of view, and create ideas for anything out there. Don’t get caught up in the clichés of work and life: working mom, stay at home mom, single or couple. No situation is perfect, own your journey. This is a great time in your history to create and succeed; technology, culture, and an original point of view are on your side. Find awesome partners that you can celebrate and commiserate with. Through it all, my husband has been my rock. And for ten years I had a partner at work, Chris Adams, that challenged me every day. And above all never underestimate yourself; you rock. Creatively-speaking, what would you like to achieve during the next chapter of your career? There’s a lot of untapped resource and potential in social media, and lots of problems to be solved. I’d like to partner with anyone wanting work on those solves and create positive change. What are your trend predictions for 2014? Social will keep moving us to build relationships and create things way beyond advertising. Listening to people and data, and your gut will be the secret sauce of great brands. I love projects like Dove “Sketches.” It’s time to push the dialogue further than advertising and create real, social change. Lastly, we’re in a time when brands and companies will be held to an even higher standard of thought leadership and transparency. Everything we see and engage in has an effect on someone or something, often on a large scale, as media makers, we need to harness that for good. This entry was posted in Advertising on March 6, 2014 by Creative Interviews.